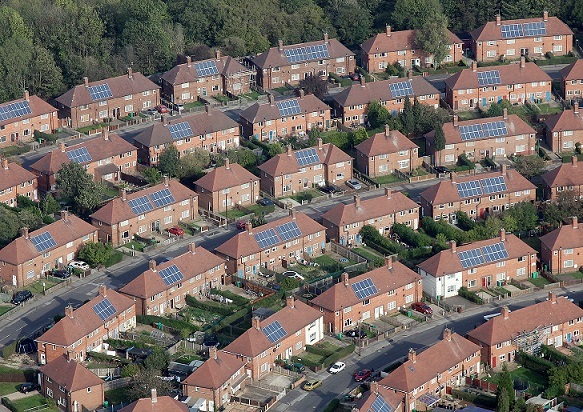 The report, released last week, says the government must act immediately to improve the quality of the UK’s housing stock and advises that no new homes should be connected to the gas grid from 2025 if the UK is to meet its emissions reduction targets. However the committee’s failure to include solar technologies as an alternative to gas and other energy sources has been criticised. The STA points to academic analysis that highlights the central role of solar PV and solar thermal in delivering Zero Energy Buildings, with over 900,000 homes in the UK having solar PV installed, and 200,000 with solar thermal. STA chief executive Chris Hewett said while it welcomed the report, the trade body was concerned about the lack of consideration of solar technologies. “We couldn't agree more with the CCC's conclusion that Britain’s housing stock is currently unfit to meet the challenge of climate change. The UK urgently needs to introduce higher national buildings standards and a robust retrofit programme, which should ideally be targeted at homes in fuel poverty. “However, it is important that the huge role of solar technologies in meeting this challenge is duly recognised, given the weight of evidence and applied experience. “Both solar PV and solar thermal are a natural fit with the decarbonisation of our building stock. They are affordable, popular, proven and easy to maintain. They can also support the performance of other energy-saving technologies as well as the development of the smart grid,” he added. The STA also said that it finds the omission “particularly surprising” in context of the government’s Grand Challenge Building Mission, which aims to halve the energy use of new buildings by 2030. The STA said it believes this cannot be achieved without onsite power generation. It comes as no surprise that the STA feels the need to protest the exclusion of solar energy in the CCC’s conclusion. If the Zero Carbon Homes policy had gone ahead, all new homes would already be required to generate as much energy on site as they use. Solar would have been a vital part of achieving that requirement, which would have seen energy bills slashed and carbon emissions reduced. As it is, the policy was scrapped months before it was due to come into effect. Hewett said: “While the role of solar PV is elsewhere widely recognised, we hope the CCC will also share our concern about the collapse in the UK solar thermal market. However much we improve the thermal efficiency of homes, buildings will still need hot water and solar thermal can also complement the performance of technologies like heat pumps. “Current policies are unfortunately failing to encourage the take-up of renewable heating technologies at anything like the rate needed."